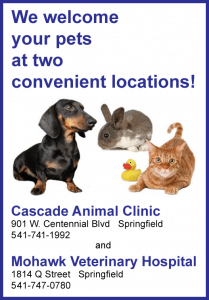 Listen on Tuesday at 9:20 am for the featured Greenhill Pet of the Week sponsored by Dr. Kelli Rosen at Cascade Animal Clinic. Delightful is available for adoption at 1st Avenue Shelter (due to construction at Greenhill Humane Society). 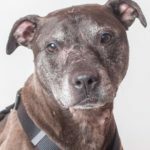 She is a Terrier/Pit Bull mix and is 8 years old. What is Delightful’s ideal home? She is a sweet girl who is looking for a place where she can just relax and go on the occasional adventure. She really loves getting out on walks and enjoys spending time with people. She has a really hard time being left alone and it upsets her a lot. She’ll need a home where someone can be with her as much as possible. Does she like other dogs? She needs to be the only dog in the home. What does she think about cats? She has a poor history with cats and needs to be the only pet in the home. How does she feel about kids? She should go home with kids that can respect her space. She will not appreciate little kids rushing up to her or climbing on her. What is it that staff and volunteers love about Delightful? She can be shy at first, but if you take the time to get to know her, you’ll be the best of friends. Thank you for taking the time to learn more about Delightful! If you think she’d be the perfect addition to your home, you should come on down to meet her at 1st Avenue Shelter, 3970 1st Ave. Eugene, OR 97402 which is open Tues–Sat from 10am-6pm. If the featured Pet of the Week has already been adopted, visit with some of the other pets that are available for adoption and looking for their forever home.